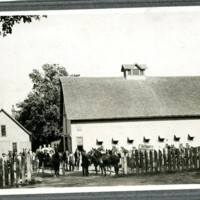 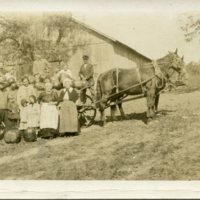 Postcard of the Besalke family with a wagon full of pumpkins on a farm. 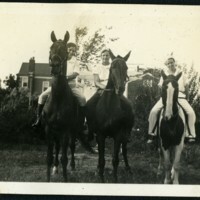 Mabel Roberts and Friends on Horseback. 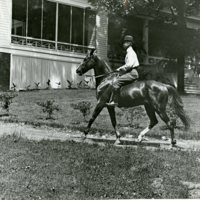 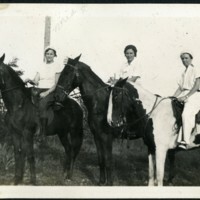 Photograph of Mabel Roberts, Mid R., and an unknown woman on horseback. 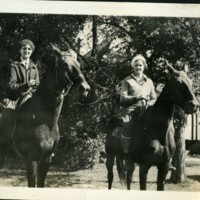 Photograph of two unknown women on horseback. 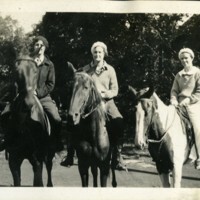 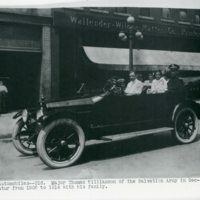 Photograph of Mabel Roberts and two unknown women on horseback.